Chairpersons, administrators and members are assigned to committees by year. You will assign a year to the committee and then add chairpersons, administrators and members. 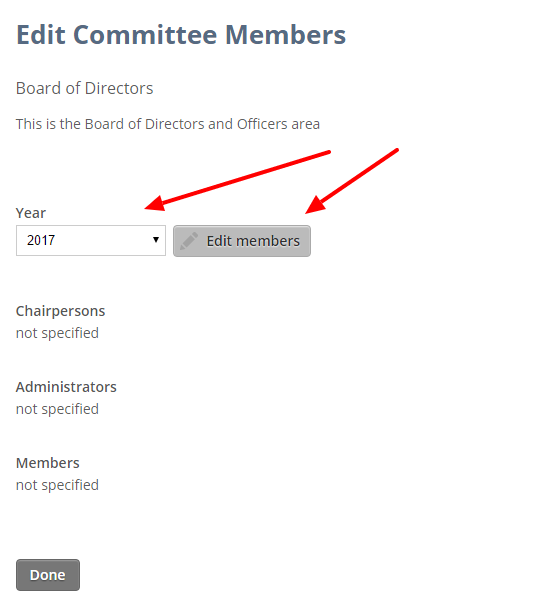 If you are not already on the Administration - edit committee members page, click the Committees icon on the navigation menu on the left. 2. Locate the desired committee, then click the three dots icon to the right of the needed committee and select 'Manage members'. 4. To add a member, start typing the last name of the member in the textbox below the Members heading. The box below will autocomplete. Select the member. Repeat to add other members. 5. To add an administrator, start typing the last name of the member in the textbox under the Administrators heading. The box below will autocomplete. Select the member for administrator. Repeat if there is more than one administrator. 6.To add a chairperson, start typing the last name of the member in the textbox under the Chairpersons heading. The box below will autocomplete. Select the member for chairperson. 7. Click the Save button. The chairperson, administrator and members will show on the Committees page. 8. 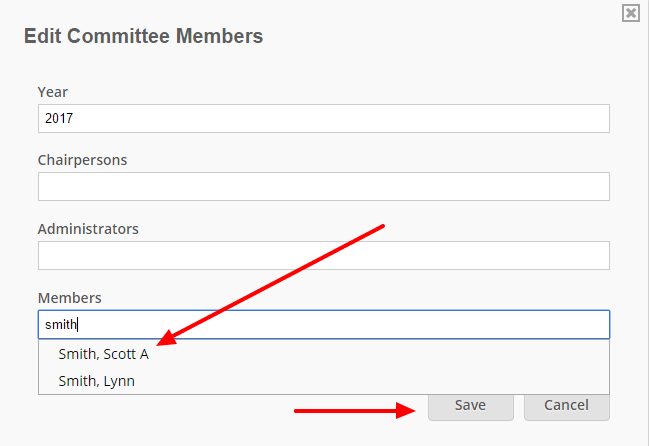 Click the Done button to return to the Committees listing page.